The Novaya Opera are one of Moscow’s leading Opera companies and upcoming rivals to the Kirov and Bolshoi. 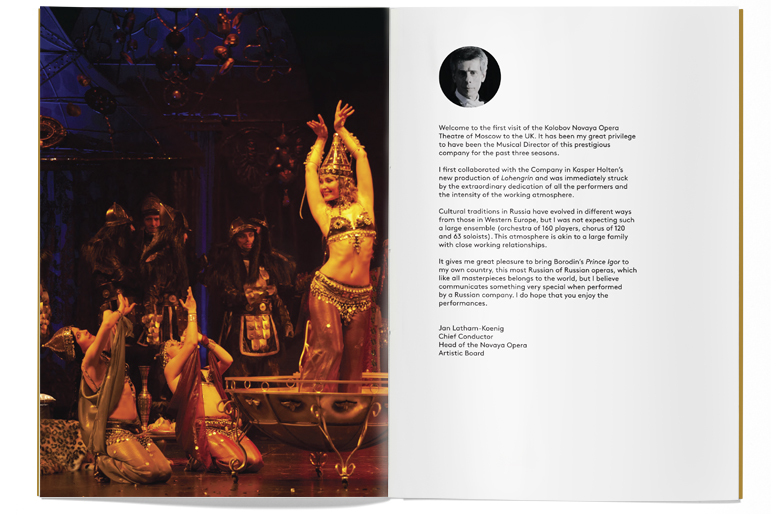 As part of the 2014 UK/Russia year of Culture and for their first ever UK tour, they brought Borodin's masterpiece Prince Igor to the London Coliseum. Beam created the campaign image with illustrator Matthew Richardson. The campaign ran across the main London Coliseum print and digital distribution channels as well as London Underground tube stations.